Shoot that flaming arrow to my heart. 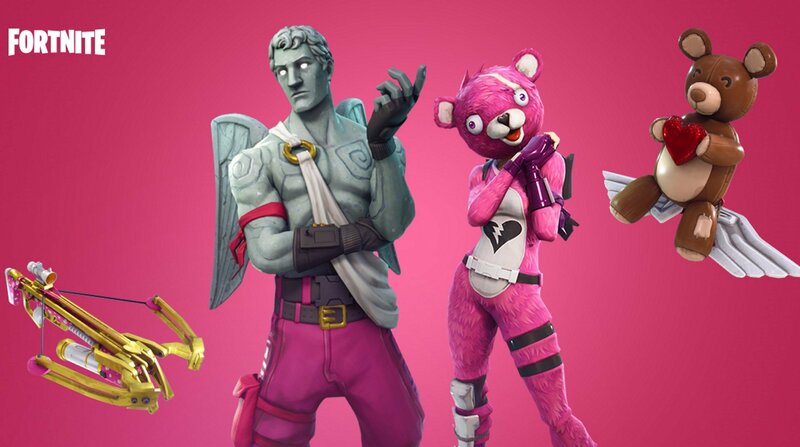 Fortnite’s Valentine’s Day update is adding a crossbow to the game to let you spear your love with a bolt-load of affection. Naturally the crossbow is covered in hearts so your victims will know that you didn’t mean any harm. 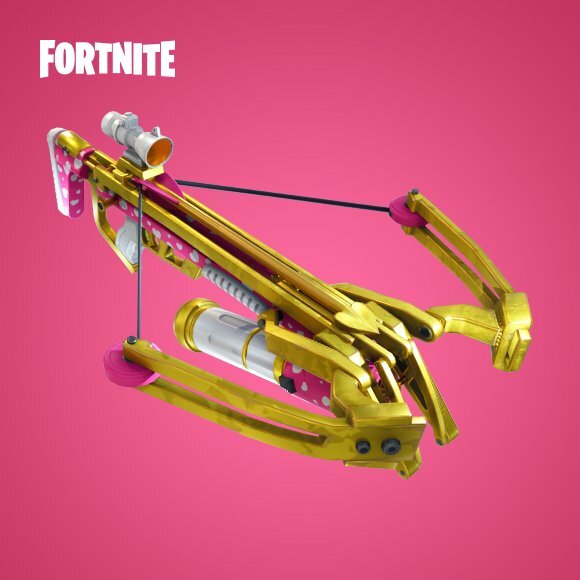 The crossbow will come in Rare and Epic variants, comes with fire ammo and can be found in chests and on the floor. 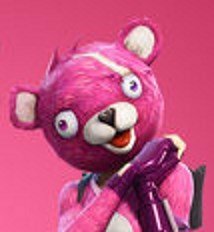 The update also adds a selection of Valentine’s themed cosmetics including a stony cherub skin and a terrifying punk bear we'll be having nightmares about for weeks. The update (2.4.2) is now live on the servers, so get out there and lodge some bolts lovingly in your opponent’s craniums. Do it. the bear compells you.